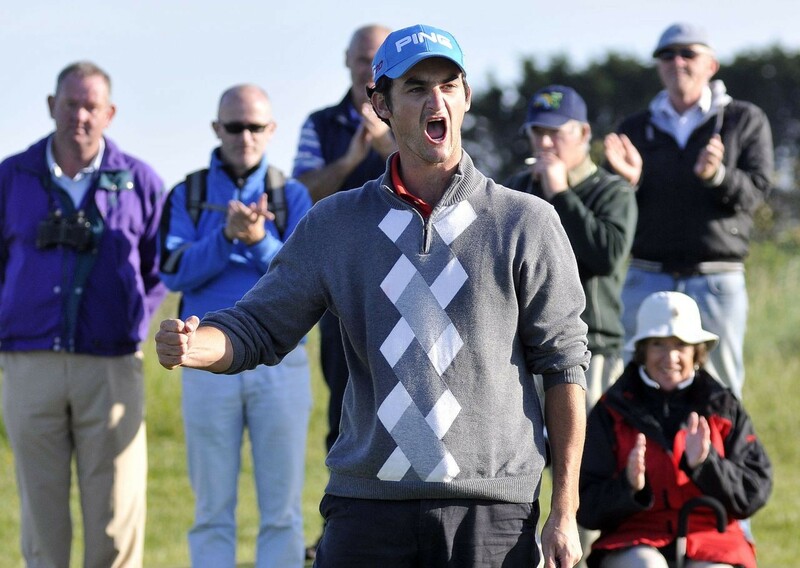 Congratulations to Marcus Fraser as he finishes T20 at the Open Championship on 7 under par. Marcus Fraser, who 12 months ago was starting his rehabilitation from a major wrist operation, tees up this week in the Aberdeen Asset Management Scottish Open, his 16th event since his return to professional golf at the latter end of 2014. In these events Marcus has missed just one cut, and has had 4 top 10 finishes, this included finishing 2nd in the Thailand Championship , which qualified him for next weeks Open Championship at St Andrews. One missed cut, and an impressive stroke average of 70.43 in these 16 events has seen his World ranking climb back steadily, currently he is at 157, having dropped to 304 in December 2014. Fraser from Melbourne, a 3 time winner on the European Tour, and a former Eisenhower Cup winner as an amateur is currently playing some of the most consistent golf of his career. Marcus will play 2 more events on the European Tour after The Open Championship, in Switzerland and again Scotland, before going home to Melbourne for a mid- season break, prior to returning in September to play the remaining 9 events on the European Tour, ending with the 2015 DP World Tour Championship in Dubai in November. Northern Ireland's Michael Hoey, and Chris Selfridge both finished in the the Top 10 last week, Hoey shot 13 under par at the BMW in Germany to finish T7, and Chris Selfridge continued to impress as he finished T10 at the Scottish Hydro Challenge,and subsequently moved up to 54th on the Challenge Tour's Race To Oman after just 4 events as a professional. Michael plays in the French Open this week, while Chris plays at the Aegean Airlines Challenge in Germany. Both players will be playing at Galgorm Castle in the NI Open- presented by Sphere Global and Ulster Bank- from August 6th-9th where Michael is the tournament Ambassador. The 2015 US Open starts tomorrow at Chambers Bay with Marcus Fraser teeing off at 7.00am in the first group and Oliver Farr starts his campaign at 9.01am of the 10th tee. BlackStar Golf's Ollie Farr and Marcus Fraser played together today on the first Official Practice day at the 2015 US Open at Chambers Bay Golf Cub, the stunning venue that this week hosts the 2015 US Open,which only opened in 2007 is located just outside of Seattle in the Pacific Northwest of the US. The course which was designed by Robert Trent Jones Jnr was originally a century old gravel pit has been transformed into a stunning and demanding golf course which is very worthy of holding the US Open. Marcus who is playing in his 3rd US Open, said after his round today " The course is definitely unique, it has a very links feel to it, almost more so than some of the links courses in the UK, we certainly don't have anything like this back home in Australia, the key to scoring is going to be staying patient and having a good feel on and around the greens "
Ollie is making his debut at the US Open was very impressed with his first view of Chambers Bay " I enjoy links golf, so I thought the course was great , it is tough especially around the greens, but although it is difficult, and I certainly didn't expect anything different at the US Open I do think it is fair, good shots will be rewarded, but as Marcus and I were saying you have to have great feel and imagination around the greens." Ollie Farr drives off the 5th hole in his first practice round at Chambers Bay. Both players continue their build up tomorrow, with another practice round, but this time they will be playing in the afternoon, Ollie explained the reasoning for that " The charactersitics of the course change dramatically through out the day, in the morning the course is softer due the watering in the night, but my second round tee time on Friday is just after 3pm, and by that time of day, with the warm weather that is forecasted the greens will have dried out and will therefore become alot firmer, so its important that I am prepared for the different playing conditions that I will experiance on the first two days." The 2015 US Open Championship starts on Thursday with Marcus teeing off at 7.00am,while Ollie tees off at 9.01am. Oliver Farr will make his first appearance at The US Open next week, his first major , while Marcus Fraser will be making his 3rd appearance in the US Open, having previously played in 2007 & 2013, both players came through the tough qualifying at Walton Heath on May 25th. Follow their progress through the week on BlackStargolf.net. Chris Selfridge delivered another very solid performance this week in the Swiss Challenge, only his second event as a Professional by finishing T13, he now is already standing at 74 in the Challenge Tour " Race To Oman "
US Open bound Oliver Farr finished T43 in the Nordea Masters in Sweden. Oliver Farr joins Marcus Fraser at US Open - Chris Selfridge finishes T17 in his first Pro event. Oliver Farr has now qualified for the 2015 US Open and will join fellow BlackStar Golfer Marcus Fraser at the 2015 US Open. BlackStar' s new signing, Chris Selfridge started life as a professional with a very good T17 position in the European Challenge Tour event in Czech Republic. 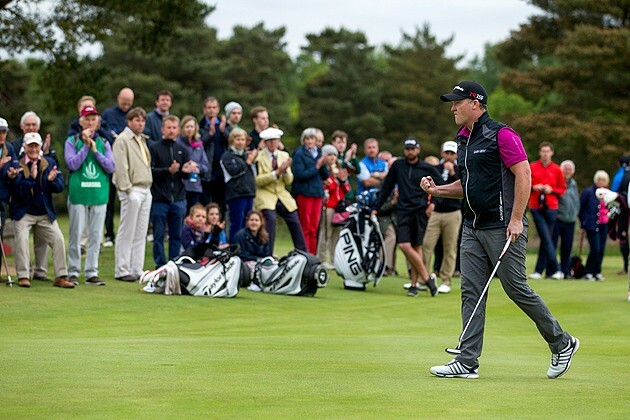 Congratulations to Marcus Fraser who secured his third U.S. Open appearance on the first playoff hole at Walton Heath. 23 year old Chris Selfridge from Castledawson, Northern Ireland has signed with BlackStar Golf. Chris, who will leave the amateur ranks this week currently inside the Top 100 of the Amateur World Rankings, has also just graduated from the University of Toledo, Ohio with a degree in Marketing and Communications. Chris will start his professional career at the D + D Real Czech Challenge on May 28th 201 at the Golf & Spa Kuneticka Hora, Dritec. Bromsgrove-based Curo Chartered Accountants has recently agreed to continue its sponsorship of European Tour golfer, Oliver Farr. Ollie has enjoyed fantastic progression over the past three years, winning the 2013 EuroPro Tour Order of Merit, which qualified him for the notoriously tough European Challenge Tour. Victory in the 2014 Turkish Airlines Open, along with 5 other top 10 finishes finally saw him graduate in 10th position onto the 2015 PGA European Tour. Julia Whelan, co-founder and partner at Curo Chartered Accountants comments “We are delighted to be sponsoring Ollie again as he embarks on his first full season on the European Tour; we’ve all been so excited to watch his rise up the rankings over the last 3 years, and we wish him all the best as travels the world on tour” Said Ollie “I would like to thank the team at Curo, especially the partners for continuing to support me in 2015. 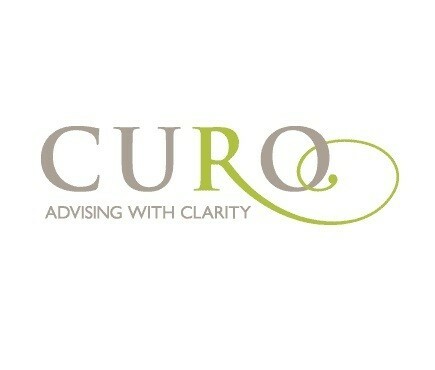 It will be my third season representing the company on the tour and hopefully I will have a successful year” Curo Chartered Accountants specialises in providing audit, tax and accountancy services to the corporate and private client markets and has clients based regionally, nationally and overseas. Bank Frick & Co, a private bank in Liechtenstein with additional offices in London, have agreed to continue their sponsorship of Welsh duo Oliver Farr and Stuart Manley. Ollie has enjoyed fantastic progression over the past three years, winning the 2013 EuroPro Tour Order of Merit, this qualified him for the notoriously tough European Challenge Tour. Victory in the 2014 Turkish Airlines Open, along with 5 other top 10 finishes finally saw him graduate in 10th position onto the 2015 PGA European Tour. Stuart, who was runner-up to Miguel Jimenez in the 2013 Hong Kong Open, will divide his time in 2015 between the PGA European Tour and the Challenge Tour. As the world’s largest tyre manufacturer, Bridgestone knows a thing or two about driving further, which is why it has opted to sponsor one of the game’s most exciting young golfers in his breakthrough professional season. Bridgestone will be partnering with Worcester’s Oliver Farr as he embarks on his debut year on the coveted European Tour, where he is competing with the likes of Rory McIlroy, Sergio Garcia and Ernie Els. The 26 year-old, whose home course is the Worcester Golf and Country Club, can now look ahead with an added element of confidence, having the support of such a huge brand. Ollie, who has enjoyed a meteoric rise in the past three years to win the EuroPro Tour before qualifying from the notoriously tough European Challenge Tour, is delighted to be on board with Bridgestone tyres as he seeks future glory. He said: “It is big boost to be recognised by Bridgestone tyres, and I am very excited about the sponsorship. Bridgestone is planning a number of golf themed events and activities in 2015 and sees Ollie as the ideal young personality to push the company’s premium products to a vibrant new audience who enjoy a round themselves. As well as sporting Bridgestone’s tyre logo on his golf shirts and jumpers, Ollie’s experiences will be featured on Bridgestone’s social networking channels, which should create more interaction and ultimately lead to more followers. Farrell added: “We feel that we can really leverage this sponsorship in a number of exciting ways. “Instead of just embossing our logo on a shirt, we want to make our partnership work in a number of innovative methods. “Moreover, we want golfers to think of our premium range of tyres and create a sporting association that is synonymous with our portfolio of products. LONDON, UK (24th February 2015) Having reached a career-high world ranking of 51st in February 2013, European Tour ace Marcus Fraser was plagued by a persistent wrist injury. By the start of 2014, he finally submitted to surgery and after considerable rehabilitation returned in November 2014 at the Hong Kong Open. Fraser’s ranking had slipped to 292nd and there was uncertainty over how the wrist would respond to the rigours of tournament golf and increased practise, but the results since his comeback have been impressive. The Australian has secured three top five finishes in 11 events – most recently tying for third in the Hero Indian Open in Delhi last weekend – and only missed one cut. Finishing runner-up in the Thailand Open in December qualified the 36-year-old for the Open Championship at St Andrews in July and he’s currently placed 37th in the 2015 Race to Dubai and has moved back up the world rankings to 156th. Speaking from his Melbourne home where he has returned for a break before April’s PGA European Tour in China, Fraser said: “So far things have gone very well – possibly better than expected. Marcus Fraser’s season ends on a high. Marcus Fraser ended 2014 on a high following an eight month lay-off due to a wrist injury with a brilliant runner up spot to the eventual winner Lee Westwood at The Thailand Golf Championships. Fraser only played four tournaments at the start of the year in the Middle East before undergoing surgery for an injury that first surfaced in the summer of 2013. Complications following surgery on his left hand in February demanded further treatment, subsequently Fraser eventually only returned to action late on in the year at the Hong Kong Open. Medical experts used a radical technique that involved taking the two-time European tour winner’s own blood, separating the plasma, and pumping it back into the hand and forearm to deal with what they believe is a form of tendonitis. Marcus eventually returned to action at the European Tour’s penultimate regular season event in Hong Kong, where he remarkably finished in a tie for 5th place. Another very solid performance followed the week after at the Perth International with a 15th place finish. Heading to Thailand, one of Fraser’s main goals was to take advantage of the 4 Open Championship exemptions for 2015, in addition to finishing runner up in a high quality field, his goal was achieved and Fraser is now exempt in to the Open Championship in July 2015. After 8 months out from injury the 35 year old from Melbourne has completed a fantastic return to tournament golf, and is already climbing back up the World Rankings (currently 171). After an uncertain 2014 Marcus heads into 2015 with renewed confidence, not only with his form on the course, but also with the knowledge that his injury is hopefully a thing of the past. Farr to make 2015 European Tour debut in South Africa. Oliver Farr plays his first European Tour event, tomorrow at the picturesque Leopard Creek GC, South Africa; the first full field on the 2015 Race to Dubai schedule. Farr, sponsored by Bromsgrove based Curo Chartered Accountants and Bank Frick turned professional in 2011. Farr rose through the professional ranks with a very impressive results list. In 2013 he played the UK based PGA EuroPro Tour – he played 19 events, winning twice, including the end of season Tour Championship and he recorded 5 further top 5 finishes to win the 2013 EuroPro ranking. This ranking gained him full membership of the PGA European Challenge Tour for 2014, where he established himself by winning the 2014 Turkish Airlines Challenge in only his 4th event. In addition to his win Farr had 4 further top 5 finishes, and made 16 cuts out of 22 events played. These results elevated Farr to move up the Official World Rankings in 2014 to a career high of 249, having started the year at 1503. Farr plans on playing approximately 28 events in 2015, which will take him all over the world, hopefully finishing in Dubai in November 2015 at the lucrative 2015 Race to Dubai World Championship.